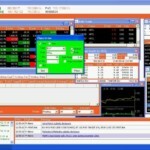 Ventura Pointer is a terminal based trading platform offered by the full-service stockbroker, Ventura Securities. This 9MB executable software needs to be downloaded and then installed on your computer or laptop before you can start trading at the stock market. This needs to be understood that this software requires you to install dot net framework (version 4.0) on your machine before you install the application itself. This framework is easily available online for download. Nonetheless, let’s discuss what this application has to offer through this detailed review. On a general note, Ventura Pointer is suitable for intermediate or expert level traders who have a reasonable experience of using different trading applications over multiple years. 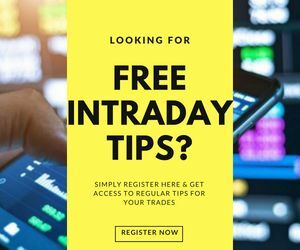 Nonetheless, a beginner level trader may also give it a try, learn how to use different features over a period of time. 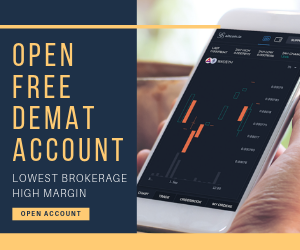 Furthermore, make sure you clarify with the broker on whether Ventura Pointer will be chargeable to you or not since the broker has placed specific pre-conditions on the usage of this trading platform. If you do not fulfil those trading turnover conditions, you are required to pay ₹3500 in order to use this application. In this review of Ventura Pointer, we will highlight some of the prominent features of this platform along with the merits and demerits of this software. 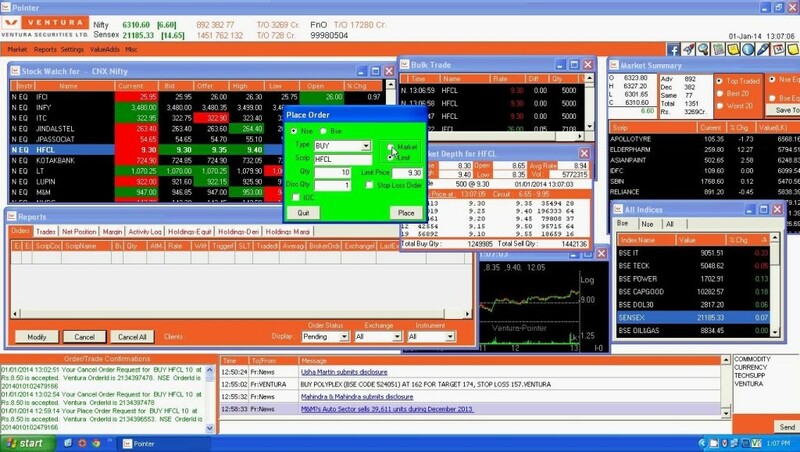 Users can trade across multiple segments such as Equity, Derivatives, Commodity, Currency, Mutual funds, Insurance and Depository services while using this terminal software. The software works decently well on different Windows versions including Windows XP, Windows Vista, Windows 7, Windows 8 and Windows 10. For the technical analysis of stocks, the application allows the users to check data for the last 7 days and get a quick idea of the stock performance. The application provides trading calls, research reports and tips to its clients within the application so that users can stay afloat with multiple opportunities opening up in the stock market. Various features for customization and personalization of the trading platform are offered to users including short-cut keys, default homepage, notification types and so on. Trading across various trading segments including equity, commodity, currency, future and options are allowed. Different types of orders such as Limit order, market order, normal order, stop-loss order, after-market order are allowed. Market Watch: This feature helps you to monitor specific stocks or financial products. The application provides you with a shortcut key i.e. 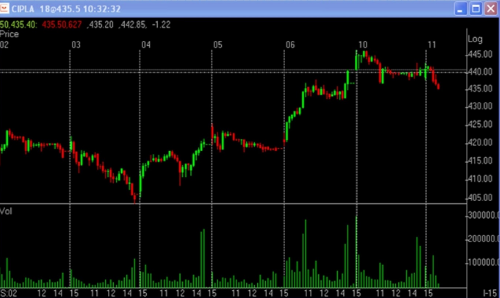 F4 to set up a market watch. Market Depth: This feature helps you to check the best 5 offers and bids available for your trades. Multiple types of orders allowed to be placed. 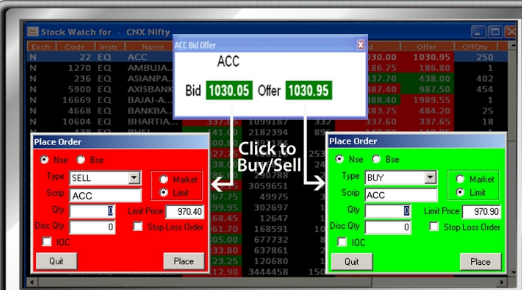 These order types include Limit Order, Market Order, IOC order etc. Check Net Positions, Modify existing orders, Cancel an order, square off positions etc. Bulk trading allowed through a single window. Most of the clients using this software for trading have observed issues with its user experience and usability which is really strange, especially from the fact that this application has been around for a while now. And in this duration, Ventura securities has had a decent window to take user feedback and incorporate those comments into this trading application. You can read this in Hindi as well. Users need to pay ₹3500 for the usage of Ventura Pointer, which is simply disappointing. Very few updates are done to the software by the technical team of Ventura Securities in this application. Relatively bulky in size and demands a decent configuration of the machine where the software is being installed. A basic configuration may hamper the trading experience. A Mature trading application and has been around for a while now. Offers decent speed and performance, especially for intra-day traders. Suitable for intermediate to expert level traders for the exhaustiveness of the number of features and provisions to perform technical or fundamental analysis at depth. In the end, it just needs to be understood that Ventura Pointer is one of the high-performance trading applications in the investment space. It comes with a wide range of features for all kinds of traders at different stages of their trading experiences. But since it may cost you some fees thus, you need to consider that aspect. Overall, it can be considered as better than average terminal trading platforms offered by the broker. 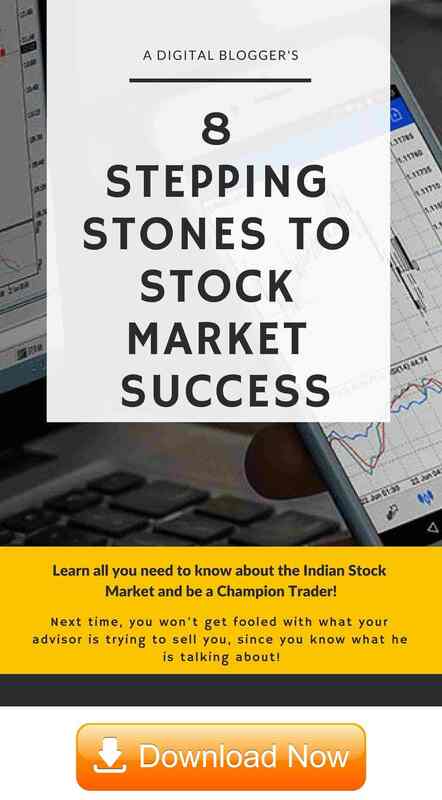 Looking to Open your trading and Demat Account?